Please note however that trailer storage facilities are not available at the boat park until it re-opens in May 2018. However, trailers can be stored at North Beach car park. Please note that the use of the slipway incurs the above charge at all times. 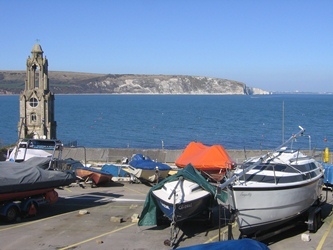 Please pay your fee at the Swanage Information Centre or to the boat park attendant. 10% discount on annual ticket if purchased before 30th April or one month of payment demand made for 2018. Report to Boat Park Attendant on arrival. Launching vehicles must be removed from the boat park. Any boats launched or stored without permission are liable to have their trailer immobilised. A release fee will be payable.